What Should I Expect If I’m Getting Divorced in My 20s? For most people go through a divorce, speaking with family and friends can be helpful to get advice and emotional support throughout the process. Today, fewer people are getting divorced young because more are either choosing not to get married, or choosing to get married later in life. For example, in 2016, the average age for getting married was 27.4 for women and 29.5 for men. 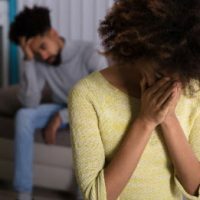 However, if you are in your 20s, divorce can sometimes be especially challenging, in part because many of your peers might not yet have gotten married or divorced. Many young exes find themselves feeling more isolated than those who get divorced later in life. Below, we discuss some of these issues, as well as the many “pros” you should keep in mind if you are in your 20s and going through divorce. Some couples who marry young grew up together and were high school sweethearts, but inevitably change as time passes. Some individuals who got married also feel as though they missed out on dating when they were younger. Once separated and then divorced, getting support from social networks can be challenging, as many do not expect it and/or have been linked to both individuals within the couple for a long time. And yet, taking action when things aren’t working is often ideal, as divorce and separation can occur before a couple shares significant assets and possibly before they have children together. Generally, speaking, these separations tend to be more straightforward (financially speaking), and more young couples tend to have a prenuptial agreement in place than older couples. Younger couples obtaining divorces also tend to have less discrepancy between their incomes, which arguably makes for an easier transition after divorce as well. For many, getting a divorce early in life is also an opportunity to grow and learn, creating a new future for themselves. that life does go on. Coming to terms with the end of one’s marriage is always difficult, but taking action and taking that next step to starting your life is important. Contact our supportive Orlando divorce attorneys at the Arwani Law Firm today to find out how we can provide you with guidance during this difficult time.